I have two loves in my Paleo lifestyle, and I don't think I am alone, bacon and sweet potatoes. They don't have to be together, but they do look pretty cute that way. I first had this idea for Mother's Day dinner. I wanted to do something that felt different and special, that was easy to make, and simple to serve. Oh and it needed to go with steaks, because that is pretty much all my husband knows how to cook. It was kinda a tall order, but it came together really well! It was a party hit! It is now June and I am just getting this posted, which is no surprise to me, but I have been dying to share it with you ever since. For the meal I paired this side with a steak, that my husband did on the grill, and a chopped Tuscan style salad. While we are on the topic of Mother's Day I thought I would show you one of things I gave my mom, linked below. 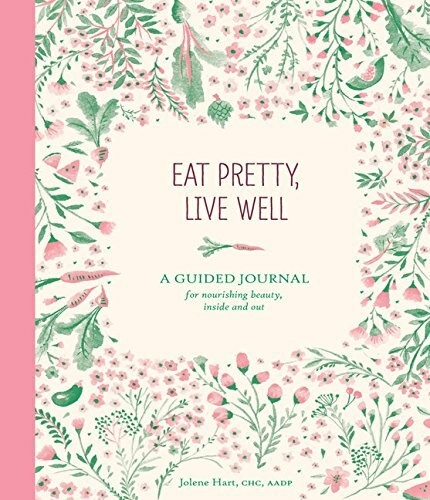 This is a great food journal! If you are looking to work through what you eat and why you eat it this journal is awesome! I don't always food journal and keep track of what I eat. However, it is super helpful to do it ever so often. This journal is a great tool for that! Don't cut the sweet potatoes in half. Just cut the top off of them. They don't hold together as well as normal potatoes, so this will help. Be sure they are really cooked all the way through. You want them to be super soft and easy to scoop out. If you are serving this to company, it is much easier if you cook the sweet potato, bacon, and broccoli the night before. Then just assemble and warm them up on the day you are serving them. It will take closer to 20 minutes in the oven to warm. Poke holes in sweet potatoes, rub in your favorite oil. Put on a pan and into the oven. Set a timer for 50 minutes. Wash broccoli and cut into bite sized pieces. Coat with coconut oil. Put on a sheet pan and into the oven. Set a timer for 25 minutes. Put bacon on a pan with a rimmed edge, put into the oven and cook for 12- 15 minutes. Remove everything from the oven. Finely chop the broccoli. Cut up the bacon. Once potatoes have cooled, cut off the top and scoop out the inside. Put into a bowl. Combine all the ingredients. Put back into the sweet potato skins. Put back into the oven for 10 minutes.